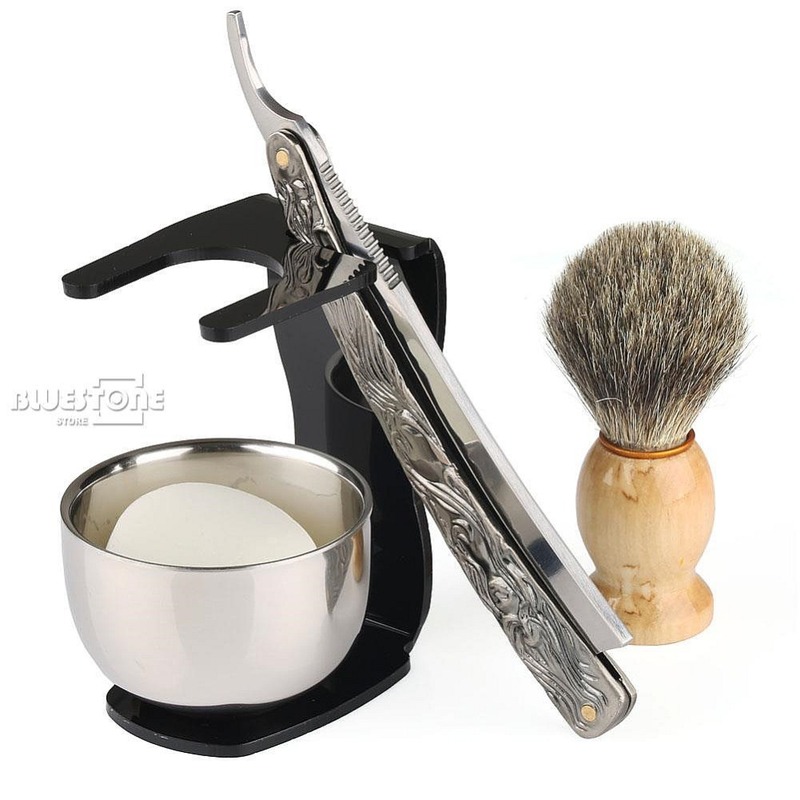 - This unused and brand new ergonomic designed Alloy Steel made sliding style straight CUT THROAT razor with grid plastic handle is very finely blanced for you to enjoy the feel of a traditional shave. - This is a beautiful new folding straight razor, features grid handle.Great for shaving and hand produced for optimum performance. - Both sides are stitched togather for good grip. - This handsome shaving brush and is filled with boar BADGER. 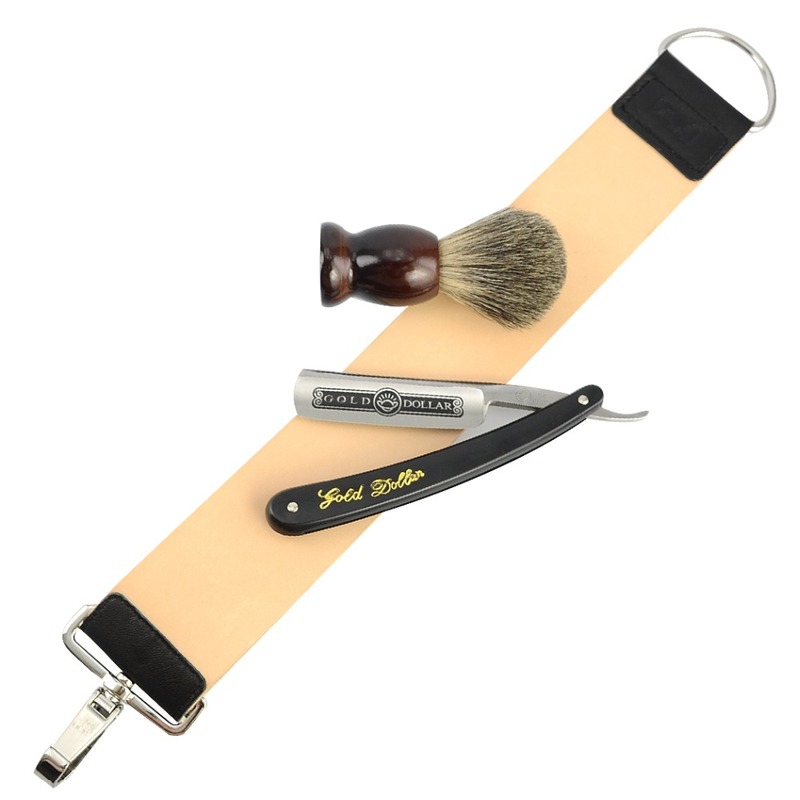 - It is comfortable in hand and is able to create a rich and moist prep lather for shaving. NOTICE: Because this product is made of pure badger hair, a little smell is normal. A few people may not accustomed to the smell of badger, all badger hair shaving brush before use, need to use soap or shampoo to clean and ventilated drying out. Notice:If the razor is not shave ready,it need to be sharpened before use. Total Lenght:~18.5inch(~48cm),including lenght of the hook. We are a 10-years factory from China,have rich experience in Men\'s beauty products.We mainly engaged in Men shaving and shaving related products.Also,we can offer wholesale or customized by trade price and dropshipping.Welcome to contact us,we will offer our best service for you.